By conserving energy, not only can we help to prevent global warming we can also save money, but a recent survey suggests that the under 45s don’t think energy saving is a priority. This morning, clad in two pairs of pyjamas and buried under three layers of blankets, I awoke (not for the first time this autumn) to a house that penguins would happily call home. Like many starting out on the property ladder, my housemates purchased a property which lacks all the mod-cons, like central heating. Our three bedroom terraced property is warmed by 4 electric heaters and a gas fire. We’re also currently redecorating, so our home, lacking curtains and wallpaper isn’t exactly what experts would call insulated. Over the last year we’ve learnt that regularly using electric heaters and gas fires quickly leads to huge heating bills. Luckily, unlike many out there this winter, we’re lucky enough to be having central heating installed in the coming weeks. Last week, property developers Galliford Try Homes released a survey that suggested being energy efficient becomes more important as buyers get older. Sixty-percent of 45-65 year olds in the survey found energy efficient homes more attractive compared to 40% of 18-45 years olds. 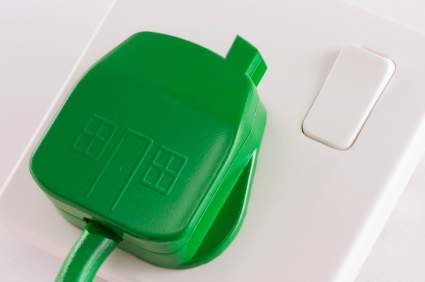 Perhaps the importance of energy saving is forgotten in house-buyers under the age of 45. For busy homeowners starting out on the property ladder and families on strict budgets, it’s easy to see how implementing new ways to save energy isn’t always top of the list of things to do. The biggest problem for our household has been the rising gas and electricity costs. The four convection heaters in our home are designed to work in small areas and I admit they’re great for closed-off areas like bedrooms or studies but in an expansive area like our hallway, the heat disperses and we end up losing a lot of the energy through the front door and into rooms we’re not using. Installing new radiators and a modern boiler system is costing us in the region of £3,000. That may seem like a large outlay but Which? independent says this move could save us up to £200 a year and Nationwide suggests this could add around 13% to the value of the property making it a worthwhile investment. Of course our lousy heating will also have affected the buildings around us. As a house in the middle of a terraced, presumably we’ve been sucking out our neighbour’s energy in an effort to maintain the temperature of ours. Like property maintenance affecting house-prices, perhaps before buying you should consider whether your new neighbour’s lack of efficiency could affect your bills. It’s important to protect your investment with home insurance, especially when making pricey improvements to your home. Gas-operated appliances like boilers and ovens can also be a carbon monoxide risk. This colourless gas kills up to 50 people a year. If you have a gas fire, consider buying an alarm to protect your family from carbon monoxide poisoning. How else can we save energy and money? There’s lots of advice out there. The Energy Saving Trust website has a six-step home energy check which they claim can help save you up to £250. They also suggest home improvement grants you may be able to apply for and offer tips on how to stop wasting energy.